Tizen Developer Summit is an annual regional event for Tizen application and platform developers. In 2013 it was held in Seoul, Korea and in 2014 it took place in Shanghai, China during 20-21 October. The focus of the presentations was the expansion of Tizen from IVI and mobile devices to Internet of Things. The official Twitter hastag of the event was TDS14SH. 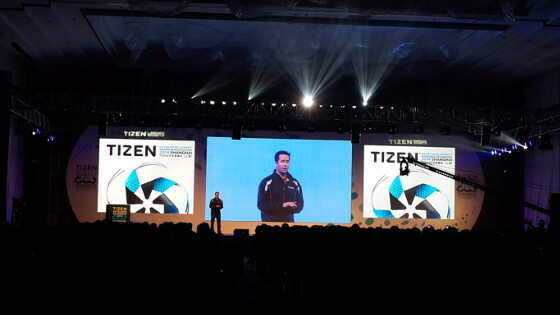 The first day of Tizen Developer Summit started with registration and was followed by the opening speeches. 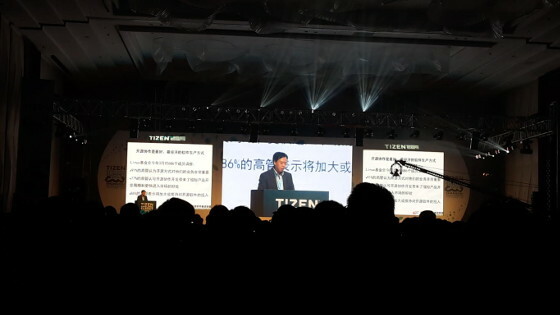 During the keynotes Tizen 3 profile based approach to support various devices was revealed, Samsung presented an overview of the existing Tizen devices and on the market as well as the devices that will appear in near future. 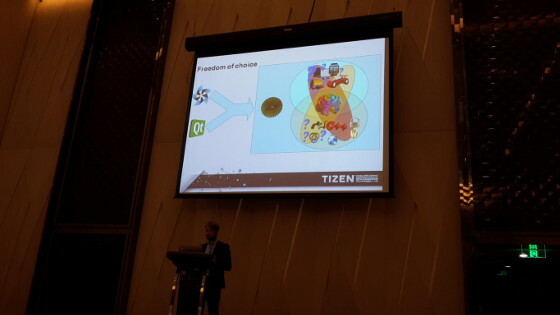 There is no doubt that Tizen is growing up with China as Qiu Shan Qin from China Open Source Promotion Union explained how important are open source software and hardware for the Chinese government. Liu Jun, the vice president of the Chinese web services company Baidu, described how Samsung and Baidu are building an ecosystem together around Tizen. Opportunities for developers using location-based services (LBS) and the integration of Baidu Maps in Tizen was also discussed. The key notes ended with a talk by Yu Yongfu from Alibaba Strategy Committee about new marketplace opportunities for the Tizen ecosystem. After the lunch the audience was split on variety of talks grouped into several different tracks: Profiles & Devices, Platform Overview, Policy, Application development. Philippe Coval demonstrated how anyone can become part of Tizen:Common platform development and make community contributions. Sakari Poussa from Intel presented Crosswalk – the web runtime in Tizen 3 profiles. 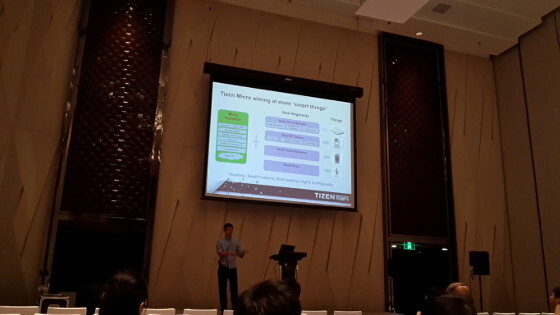 Another very interesting talk from Intel was “Enable IoT on Tizen", presented by Martin Xu. Qt is a very popular cross-platform application framework in the open source world and its porting to Tizen was a hot topic during Tizen Developer Summit. Tomasz Olszak, the co-founder and leading developer of Qt for Tizen, talked about the opportunities that Qt brings to the Tizen ecosystem and provided high-level overview of the state of Qt for Tizen. The second day kicked off with a session about porting Tizen:Common to open source hardware devices at the Profiles & Devices track. I was happy to be on the stage on Tizen Developer Summit alongside with Philippe Coval. We revealed the important of the open source hardware and we showed how to run Tizen:Common on open source hardware development boards with Intel CPU such as MinnowBoard MAX and on open source ARM devices such as the OLinuXino boards created by Olimex with Allwinner A10/A20 SoC. 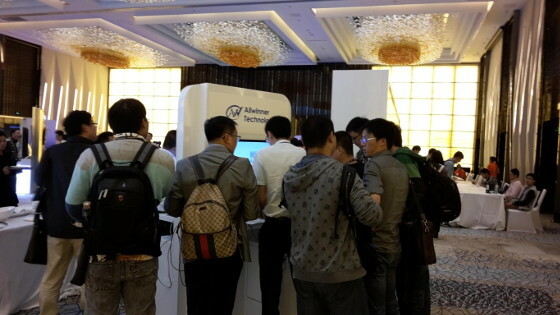 Allwinner Technology had a booth at the event and all visitors were able to see different Tizen profiles working on devices with A80 and A20 SoC. The program of the Profiles & Devices track continued with a talk by Bingwei Liu about Tizen Micro and the opportunity to use Tizen for headless Internet of things. After that Biao Lu and Austin Zhang from Intel explained how to build your smart device with Tizen-micro by using Yocto in only one day. One of the most important presentation for device makers and innovative developers was about creating a new profile from Tizen3 Common project. Dominig ar Foll from Intel provided getting started guides and tutorials how to develop a new Tizen 3 profile based on Tizen:Common that suits the needs of a specific device. The second day of Tizen Developer Summit 2014 ended with a Dev Lab. More than hundred developers were provided with Samsung Gear 2 smart watches. Following the guidelines of Samsung experts the developers developed and deployed their first applications to Gear 2. 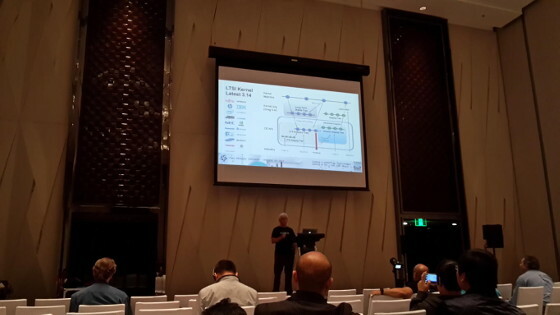 The slides from all presentations during Tizen Developer Summit 2014 are available here. My photos from the event can be found at pCloud.